Sorry to disappoint you, but, unlike the name suggests, PPTAssist will not assist you with your daily computer needs. In fact, we recommend that you remove this program, because it is just another generic advertising-supported program. 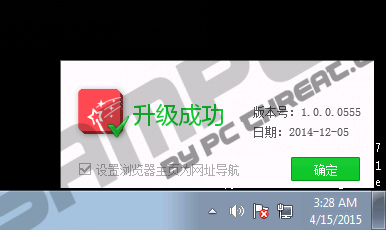 Although it slightly differs from other adware in a way that it is targeted at Chinese-speaking users, it works just like any other adware app. As soon as it gains access to your PC, it starts promoting third-party commercial content. You can never completely rely on PPTAssist, because it is too intrusive and too susceptible to exploitation by malicious entities. Thus, is you want to eliminate the possibility of facing security-related issues, is it best that you delete PPTAssist without any further delay. PPTAssist is known to reach target systems with the help of malicious installers that are offered on a wide range of freeware and shareware distribution sites. You should be especially careful when launching these installers, because they might deploy to your PC not only PPTAssist, but also other high-risk programs you will need to remove as soon as possible. Some of the unwanted software might show up on the program list. Remember, in most cases, the best solution to check if you did not accidentally install multiple suspicious applications is to equip your system with a reliable antimalware scanner. PPTAssist was created to promote advertising content, so do not expect anything else from this program. You could keep this app on your computer, if you do not mind all the coupon deals, price comparisons, discount offers, and other distractions opening up all over you screen. However, bear in mind this application is highly unreliable due to its propensity to serve links to unsafe sites. If you do not want to be taken to any of the sites set up by cyber criminals, you should delete PPTAssist immediately. As PPTAssist was developed in China, the third-party ads were limited to the Chinese sites at first; still, it is possible that this application already targets such popular online retailers as Amazon, Ebay, Wallmart, and other commercial sites. Remove PPTAssist if you want to clean up your browser from all the annoying ads. Besides that, deleting this adware app is the only way to go back to more secure online surfing. You can get rid of this application from Control Panel by following our step-by-step instructions below. Be aware that adware might have additional components that cannot be neutralized manually. So, implement licensed antimalware software to remove all the malicious elements that might seek to compromise your computer’s security. Select Control Panel, and then choose Programs and Features. Select program you want to get rid of. Click Uninstall/Change to initiate the removal process. Highlight the program you want to remove. Quick & tested solution for PPTAssist removal.